A Trust Deed is a formal debt solution created for residents of Scotland. 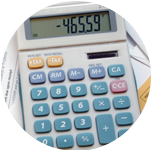 A Trust Deed can be seen as an alternative to the IVA which is not available in Scotland. In a Trust Deed, like an IVA, you agree to pay back a portion of the debts that you owe via a fixed monthly payment. After you have completed your payments the rest of your debt will be legally written off. A Trust Deed is set up between you and your creditors through a Licensed Insolvency Practitioner like McCambridge Duffy. In the Trust Deed you agree to pay back a portion of your debts via monthly payments at a rate you can realistically afford. This payment plan usually lasts for 36 months, and the payments will be the same fixed rate each month. At the end of the 36 months any remaining debt that you owe is written off and you become legally debt free. Everything is outlined at the beginning of the agreement, so you will know exactly what quantity of the debt you are paying back and what quantity of the debt is going to be cleared, and how much your monthly payment is going to be. How does a Sole Trader set up a Trust Deed? If you are a Sole Trader living in Scotland and you are struggling to pay your unsecured debts then a Trust Deed might be an appropriate Debt Solution for you. You would normally need debts in excess of £12,000 with at least two creditors. McCambridge Duffy can help you set up your Trust Deed. The first thing you would need to do is get in contact with us and give us a break down of your situation. When we speak to you we will do an analysis of your debts, your monthly income and your monthly outgoings (i.e. bills, rent, mortgage, food, fuel etc). This will enable us to determine whether or not a Trust Deed is the best debt solution for your circumstances, or if another debt solution would be more appropriate. If we find that a Trust Deed is your best option and you want to proceed, we will draft a proposal for your creditors with the input of McCambridge Duffy’s Licensed Insolvency Practitioners. In your Trust Deed proposal we will detail your proposed monthly payment to your creditors, the amount of debt you propose to pay them and the percentage of the debt that will be written off. Once your creditors agree to the proposal, your Trust Deed will become protected and legally binding. This means your creditors can not opt out or hassle you for debts within the agreement. You will pay your Trust deed payments for a period of usually around 36 months and after this time the remaining debt is written off and you are debt free.
" I found McCambridge Duffy to deliver on what they said they would do and to do so quickly with a minimum of fuss. There were not endless phone calls and letters but they got the facts, assembled the proposal and put it in place very quickly. The process was made less stressful by the way in which they managed it." 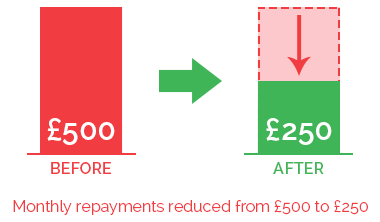 Client was struggling with monthly debt repayments of £500 to several creditors. We were able to have this reduced to £250 per month, with all interest and charges frozen. In 60 months, any remaining debts will be written off and they will be debt free.